Some algae growth is normal and healthy, but excess algae growth is unsightly and can be hazardous to fish. Like any plant life, algae thrive on water, excess sunlight and nutrients (nitrates and phosphates). Common reasons for algae overgrowth. Feed Less – Feed small portions and watch the fish eat. If all the food isn’t eaten in five minutes, you are overfeeding. Always remove any uneaten food promptly. Water Changes – Do regular water changes. Change ten to fifteen percent of your aquarium water every week to keep nutrients in the water low – maintenance of your aquarium is key. 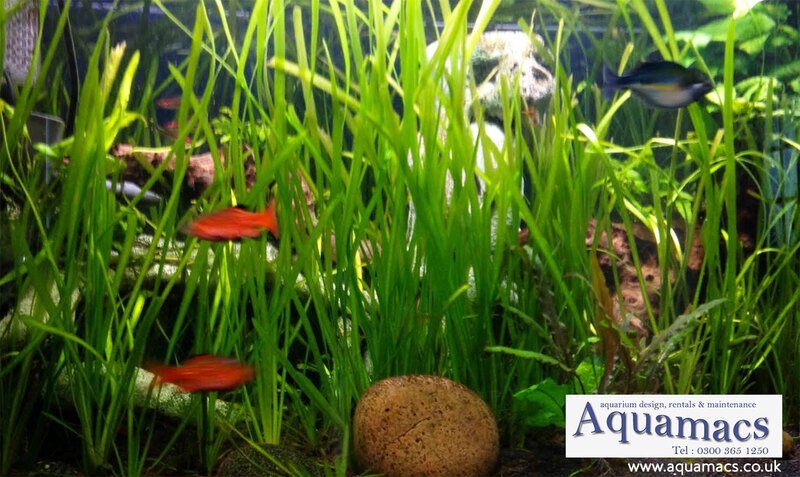 Clean It Up – Always remove algae promptly if you start seeing it in your fish tank – it can multiply fast!! Keep Live Plants – these will use many of the nutrients that algae thrive upon. Fewer nutrients mean that there is less likelihood of excess algae. Keep Algae Eating Fish – such as the Siamese Flying Fox, Otocinclus or Plecostomus, will help reduce some of the algae in the tank. Brown – which is common in new tanks. It is usually harmless and will eventually go away as the tank matures. Blue/Green – Caused by too many nitrates and phosphates. It can spread rapidly and can cause a lot of damage. Good tank hygiene will help, but you might have to use a specialist aquarium treatment to help remove it. Green Water – or Algae Bloom –. It is one of the more frustrating types of algae to remove, as it can’t be wiped or scraped off like other algae. Specialist treatments, or completely blocking all light for several days can help to reduce green water. Keep your fish tank away from bright sunlight. Too much sunlight can cause algae growth. If you are installing a new fish tank, place it away from a window – a conservatory is not the ideal place for a fish tank. If your existing fish tank is near a window, use a shade to reduce the amount of ambient light. To make temperature reading easy, consider buying a small adhesive temperature strip that can be put on the outside of your aquarium glass. Small floating thermometers are also handy, and some filters have separate temperature probes attached. Avoid heat – Never place your fish tank above or near a source of heat or an air conditioner. The temperature around the outside of the fish tank should be kept as stable as possible. Submersible heaters are the most popular. Some are adjustable and others are pre-set at 78° F. Always check and alter if necessary. Be sure to purchase a heater that is properly rated wattage-wise for your tank – always check the manufacturer’s instructions. Never remove a heater from the water if it is still turned on – otherwise, it will shatter. Unplug it first, let it cool and then remove it. Stage 1 : Start by taking down the aquarium last when packing, and putting it up first on arrival. This will minimise the time your fish have to spend in overcrowded containers and poor water conditions. Hopefully, you will have an opportunity to inspect your new home and select a good location for the aquarium prior to actually having to move. Remember, when you are looking at the new location, to keep in mind that you will want access to electrical outlets, you will want to be close to a source of water, you will want to minimise or eliminate the exposure to direct sunlight, you will want to provide sufficient space for the tank and all of its accessories, and you will want to be sure that the floor you are setting the tank on will support the weight nicely. Stage 2: Take as much of the water from your fish tank as reasonably possible with you. This will minimise the stress on your fish, as they will be able to get used to the new water chemistry slowly over the course of several weeks as you do your regular 10-15% weekly water changes. An easy way to do this is to get several clean five gallon buckets or containers. Drain water from the tank into these buckets until the buckets are about two-thirds full. If you do not have lids for your buckets, plastic grocery bags often will fit snugly and prevent your water from splashing while still allowing air to get in so that your fish and plants can breathe. Stage 3 : Pull out all of your decorations and place them in spare buckets or boxes for the trip. Carefully inspect each piece to make sure you do not have any fish or animals hiding inside a hole in a rock or a hollow in a castle. Remove live plants from the tank and place them in a bucket or two of water for the trip. Catch the fish from your tank, and place them in one of the buckets (if you have a lot of fish or if your fish are large or particularly aggressive, you may need to split them between buckets). Take an inventory of your fish to make sure you have caught everyone and aren’t leaving any behind in the aquarium. Stage 4 : Be sure to drain as much of the water from your tank as you can – even a small volume of water in your tank can cause the bottom to crack or shatter when the tank is tipped or twisted. With larger tanks, you may also want to remove the gravel from the tank to prevent its weight from breaking your tank bottom when you move the tank. Five gallon buckets also work well for hauling gravel. Remember, the more water you can bring with you when you move, the easier the trip will be on your finned friends. Get the fish in their tank promptly when you arrive. Stage 5 : Set up the heater, filters, and pumps. Remember, don’t plug in or turn on heaters or pumps when they do not have water to cool them, or you may cause damage or injury to yourself or your fish. Then return the gravel to the tank if you removed it. After you have replaced the gravel , you should begin filling the tank with the water from your buckets. As you fill the tank, place your decorations carefully into the aquarium and plant your plants. Get as much water as you can back into the tank, then net the fish out of their bucket and gently release them into your tank. Once the fish are in the aquarium, add that water to the tank. You may have to top off your tank with dechlorinated tap water from your new home. Stage 6 : Once the tank is filled and the fish and decorations have been introduced, let the tank sit for at least half an hour so that temperature can equalize before you turn on the heater. Once everything is up and running, remember to check the aquarium frequently over the next couple of days to make sure it is running smoothly. Should this be too daunting for you – Aquamacs offer a removal service – we take all the stress out of aquarium removals – fully insured and DEFRA licensed. Monitor the new fish and the water quality regularly for at least a week. Fish-keeping isn’t difficult as long as a few basic rules are adhered to. Never use untreated tap water. It contains toxic chemicals that are harmful to fish and kill filter bacteria. Carry out regular water changes to remove dirt and waste products. Always ensure that the equipment is functioning properly. Have enough water, decor, treatments, and test-kits to carry out the maintenance with the minimum of fuss. Do not overfeed the fish, or overstock the aquarium. This will lead to poor water quality and fish disease. Remove diseased fish as soon as possible to prevent contamination. Before adding new fish check compatibility with existing fish, and its size when fully grown. Introduce the new fish slowly to avoid stress. 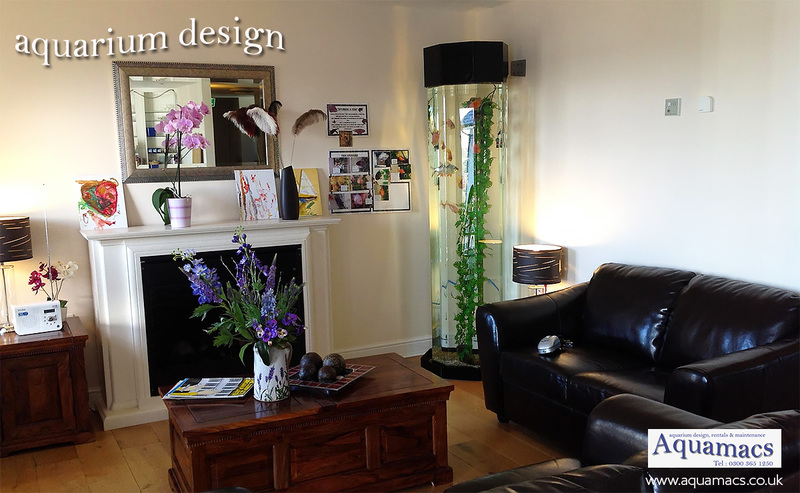 As you may be aware there have been major problems with the importation of aquarium plants over the last few years. Quite a few former suppliers are now unable to send plants to the UK. To meet the very strict import requirements into the UK, plants have to be sprayed with insecticides to kill any bugs or larvae that might be on them. For this reason we strongly recommend that all plants should be thoroughly washed before introducing them to livestock and especially invertebrates, particularly crustacea. To be completely safe if plants are to be placed in shrimp/crustacea aquariums then it would be a good idea to isolate them for a couple of weeks beforehand. It is very unlikely there will problem but it is better to take all necessary precautions.